- An excellent natural supplement that relieves menopausal symptoms. and stimulating the growth of mammary gland. or Kwao Kreu as its called in Thailand has been used by locals as a herbal folk remedy for well over a century and used for good health and longevity due to its rejuvenating qualities. Thankfully this well kept secret has in recent years become better known to the rest of us. One of Pueraria Mirifica,s most impressive benefits is linked to its ability increase breast size naturally, not only may the breast size be enhanced but also the firmness and fullness of the breast maybe improved. This is fantastic news for women. How does Pueraria Mirifica achieve this. It contains Phytoestrogens or (estrogen hormones derived from a plant) the phytoestrogens are made up of isoflavones (including genistein, puerarin, miroestrol.) These substances have very similar properties to the female hormone estrogen. Miroestrol a unique compound found in Pueraria Mirifica possesses a high potent estrogenic activity which can help stimulate blood flow and circulation plus promote new tissue generation within the breasts, enlarging and firming the breasts naturally. Taking Pueraria Mirifica as a natural breast enhancer is a great alternative for women instead of resorting to more drastic measures namely cosmetic surgery. 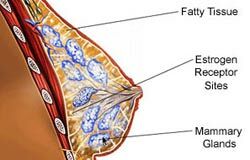 With improved breast size or firming of the breasts a women gains more self confidence. You may find some useful links below to know more about Pueraria. deep forests of the boundary region between Thailand and Myanmar. Sorbitol Compound that is included in fruits such as pear, apple, plum. oil to stabilize an emulsion. cocoa butter and 3% or lower of moisture out of total mass. Food coloring, Anatto Dye that is extracted from seeds of achiote trees. and broccoli. They are digested as Vitamin A.
Sucrose They are composed by glucose (grape sugar) and fructose (fruit sugar). Caramel coloring Natural additives that are frequently used for food coloration. ground parts and flowers are used as herbs. Carotenoid Organic pigments that exist in nature such as red, orange, and yellow. They are typical antioxidant of plants like polyphenol.